Dark, lyrical doom-folk from the gothic desolation of rural Canada. CALL IT: Doom folk, ambient goth, southern gothic from the rural north, hymns of spiritual angst. SONIC COUSIN TO: M. Gira’s solo albums, Boduf Songs, a harsher lo-fi Black Walls. 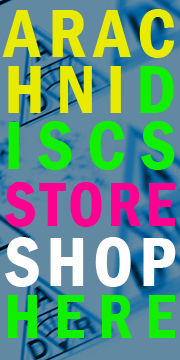 You are currently browsing the ARACHNIDISCS RECORDINGS blog archives for October, 2014.